Long shank (LS) taps with extended reach are identical in flute geometry to standard length taps. Enorm - Typical tool for blind hole threads in long-chipping materials. The fast spiral flutes provide good chip removal from the blind hole. VA design is for stainless steel and steel alloys. 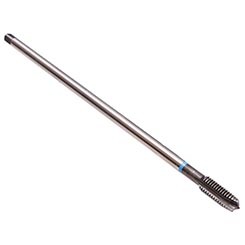 Rekord A-H - Well suited for short-chipping and abrasive material such as cast iron and hardened steel. 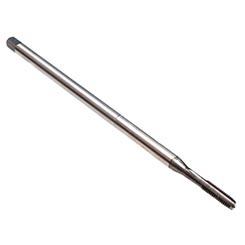 Rekord B - Typical tool for through hole threads in long-chipping material. 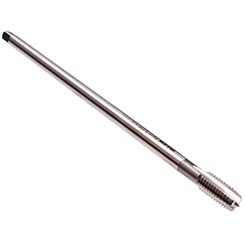 The spiral point pushes the tightly rolled chips ahead and prevents clogging of the flutes. VA design is for stainless steel and steel alloys. 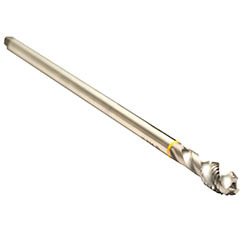 Rekord D - Slow spiral design well suited for automatic lathes and multi-spindle machines. 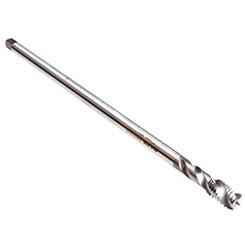 The slow spiral flutes will be especially helpful in thread holes beginning with an increased diameter (counterbore or enlarged bore).